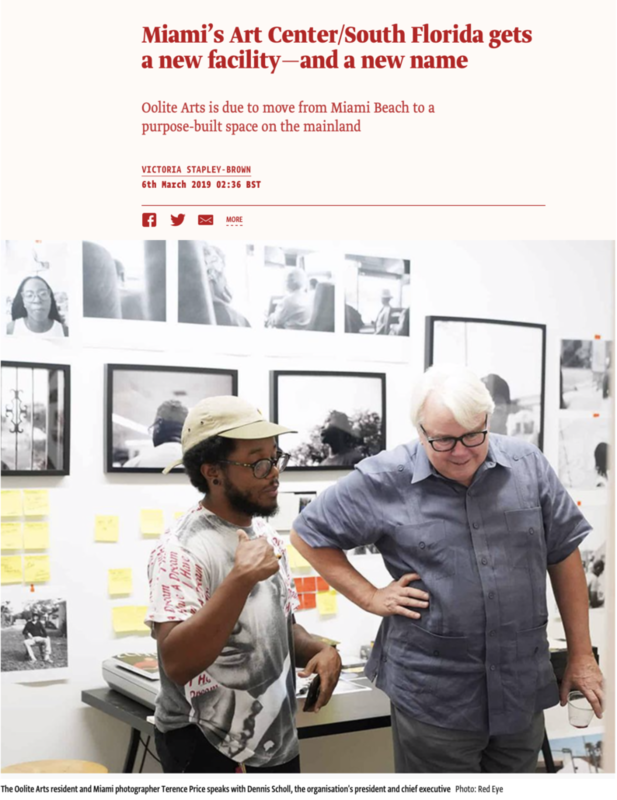 The organisation formerly known as Art Center/South Florida this week announced a spiffy new name, Oolite Arts—after the coral and seashell bedrock on which Miami stands—and plans for a purpose-built facility on the city’s mainland that will expand its residency and public programmes. “We really want to build a facility for artists that reflects the ambitions we have, both for Oolite Arts and the artists in our community,” says the local collector and philanthropist Dennis Scholl, the organisation’s president and chief executive. Established in 1984 to “help artists help themselves” through affordable studio space, according to its founder Ellie Schneiderman, Oolite Arts now offers multiple residency programmes including a studio residency programme, a cinematic artist residency and an international exchange programme, as well as community classes, outreach and exhibitions. It has supported artists such as Teresita Fernandez and William Cordova, and recently launched a programme of monetary visual arts awards (the Ellies) and a curator lecture series in partnership with the local arts non-profit Locust Projects.